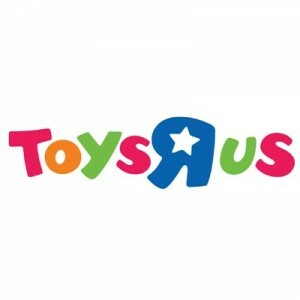 Toys “R” Us is a baby and children toys brand with stores located all over the globe. It houses the brand Babies “R” Us and is also operating e-commerce websites which are BabiesRUs.com and ToysRUs.com. Charles Lazarus originally started the brand as “Children’s Supermart” in 1948 as a baby-furniture retailer. He then established the name “Toys ‘R’ Us” in 1957 at Rockville, Maryland which focuses on children’s toys. Toys “R” Us currently has around 1,900 stores worldwide. It is awarded with the PRNews CSR Awards Finalist, Military Spouse Employment Partnership, Fortune © World’s Most Admired Companies and the Oppenheim Toy Portfolio’s Platinum Best Toy Award. Employees of the company are provided with medical, dental and vision coverage as well as Basic Life Insurance and Basic Accidental Death and Dismemberment Insurance. They have paid leaves in addition to Child Care Discounts and Baby Birth Program. Many employees enjoy working at Toys “R” Us because they are dealing with children as customers and have toys as products. It gives a fun environment as they assist children choose the toys they want. How old do you have to be to work at Toys “R” Us? If interested in applying, the minimum age requirement for majority of entry level positions is 16 years old. However, for the managerial position, an applicant should be minimum of 18 years old. The brand accepts part-time and full time employees. They accept entry level applicants. Employees are given varying duties in a family friendly working environment. Warehouse Operations Team Member: They are in-charge of handling the store shipments by unloading and labeling the cartons of merchandises. They load and unload trailers while counting the cartons it contained. They also verify the products, stack, move and sort the pallets and cartons around the warehouse. Inventory Management Specialist: They are responsible for ensuring that the product received are verified and signed. They make sure that the store has updated products for future display. They also perform audits for merchandises. They investigate Proof of Delivery for outstanding directs delivered over 7 days and they research for outstanding vendor direct shipments on a daily basis. Department Manager: The Department Manager communicates the standards, expectations, changes, goals and policies to associates. They train, develop, supervise and direct subordinates while giving constructive feedback. They also adjust staff schedule depending on workload of the employees. They ensure employee safety by training, educating and promoting awareness. Department Supervisor: They do trainings for administrative procedures and promote store sales and profit goals. They also provide feedback, input and assistance in evaluating, motivating, counseling and development of department initiatives and plans. They also execute standards for safety and loss and review reports for submission. Import Coordinator: The Import Coordinator manages the destination operations, exception and reporting of airfreight import activities. They coordinate the activities of Merchant teams related to FOB costing and cost saving opportunities. They are also in-charge of requesting necessary certifications from government agencies. Manager Safety: They are mainly responsible for management programs for safety and crisis at stores and distribution centers. They develop safety policies, systems and procedures, safety campaigns and communications. They also train managers and employees with crisis management processes. They make sure the brand complies with state regulations on safety. Registry Specialist: The registry specialist is in-charge of the registrants and the registry standards. They host personal registry appointments and maintain the local client database. They also do weekly follow-up calls and update the Store Management with the registry business reports and Registry Satisfaction Survey. Store Manager: They are responsible for coaching and training staff members, associates and Assistant Managers. They also motivate and encourage employees for better selling skills and customer relations. They interview, select and orient new members. They ensure that the Store Standards of Excellence guidelines are followed. Space Planner: The Space Planner is responsible for building planograms and utilizing tools for Floor and Space Planning in order to communicate vision. They also project and communicate workload requirements. They analyze space to sales performance and recommend ways to improve influence buying and allocation with other teams. Daytime Stock Associate: They are in-charge of arranging the stocks of toys in the shelves so that it looks full and is ready for customers to browse. They also ensure the accuracy of the inventory and help unload deliveries of shipments. In addition to that, they organize and maintain the storage space at the back of the house. The company has a simple application process for interested candidates. They have an online database of available jobs to choose from. Each job posted has an “Apply” button where the applicant can sign up and proceed with the application. Toys “R” Us recommends that aspiring applicants should apply through their online career center. Each job posted has a job description of responsibilities and requirements. Availability of the job depends on the location of the store. The application process starts by clicking the Apply button where the applicant will be led to an account creation page. There is also an option where the applicant can apply with their LinkedIn account. Make sure that the resume is free from grammatical and typographical errors. Make the layout easy on the eyes with proper margins and stylized text if necessary. Dress appropriately for the interview. It is important to make a good first impression. Be punctual and arrive on time at the venue. Prepare for typical questions during interviews. They encourage diversity by recognizing the differences and similarities between employees. They encourage 0creativity and innovation through varieties in experiences and perspectives. They believe that diversity makes them stronger. Toys “R” Us raised a nationwide fundraising campaign for the 70-year veteran organization, Marine Toys for Tots Foundation. They have been collaborating with the organization for 14 years in addition to their charity, Toys”R”Us Children’s Fund. The brand is known for retailing toys from popular and exclusive merchandise, as well as the known mascot, Geoffrey the Giraffe. It is also a sister brand of Babies “R” Us, a brand dedicated to selling baby products. The company partners with different organizations in order to deliver significant community support. They also have four major non-profit organizations where they donate and do fund-raising activities. 1 How old do you have to be to work at Toys “R” Us?